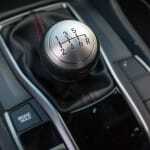 A fantastic and honest six-speed manual transmission, and enough power to work for your thrills. As we navigate through yet another brutal cold snap here in Toronto, it becomes more and more tempting to escape and take a much needed break in a place where it doesn’t hurt your face to step outside. 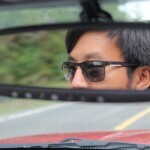 Many people prefer to jet off to their favourite all-inclusive resort somewhere in the Caribbean, but for gearheads like us, it’s pretty hard to beat a vacation that revolves around cars. 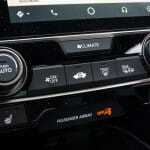 We go out of our way to attend the Los Angeles Auto Show every year, for a variety of reasons. I was fortunate enough to get some time to myself, in order to gather more evidence (for science) that the West Coast really is the Best Coast. 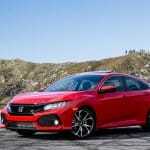 Part of that scientific experiment involved the new 2018 Honda Civic Si Sedan, painted in Rallye Red. 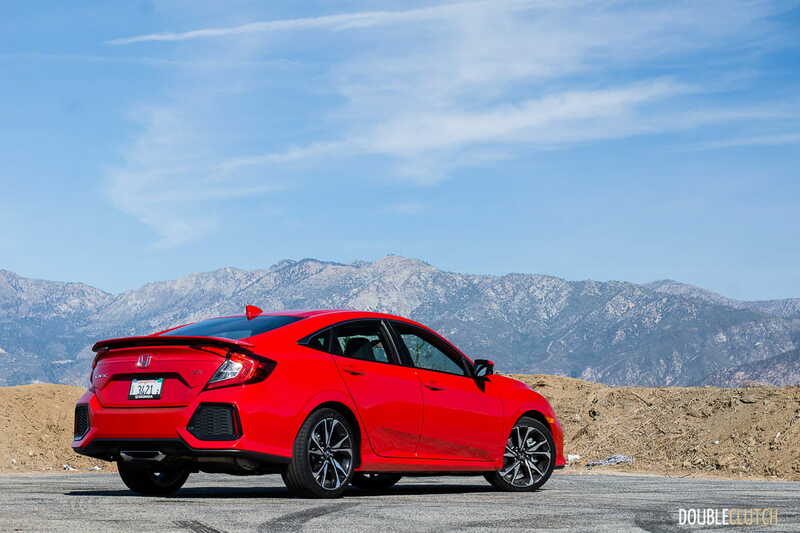 Many gearheads would love to be able to pilot the hottest hypercars of today through the city, but the Civic Si would prove to be almost perfect. 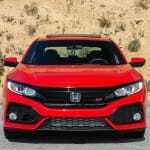 Let’s address the elephant in the room right now: the new Civic Si really is not like the Si of the past that we have all come to love. 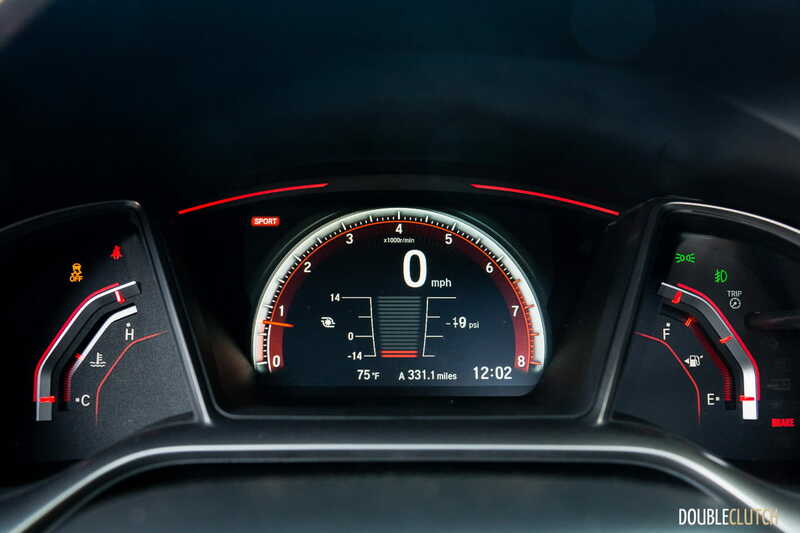 Gone are the days of pinging the 8000rpm redline, and also gone are the days of the aggressive VTEC cam shift as the needle climbs the tachometer. 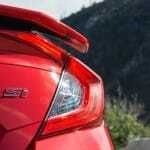 This is the Civic Si of today, and that means turbocharging. 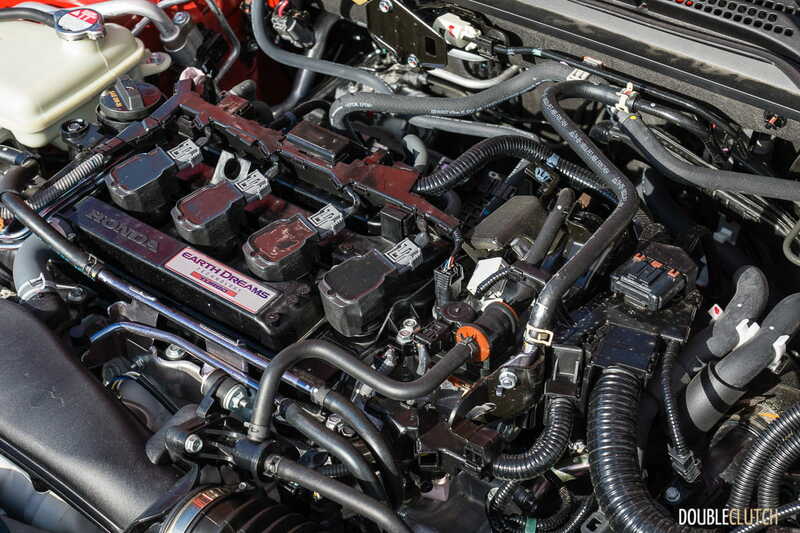 Gone is the venerable naturally-aspirated K24 engine in the previous-generation Civic Si (see our late-2014 road trip story here), and in its place is a high-output version of the L15 engine seen in more pedestrian Civics. 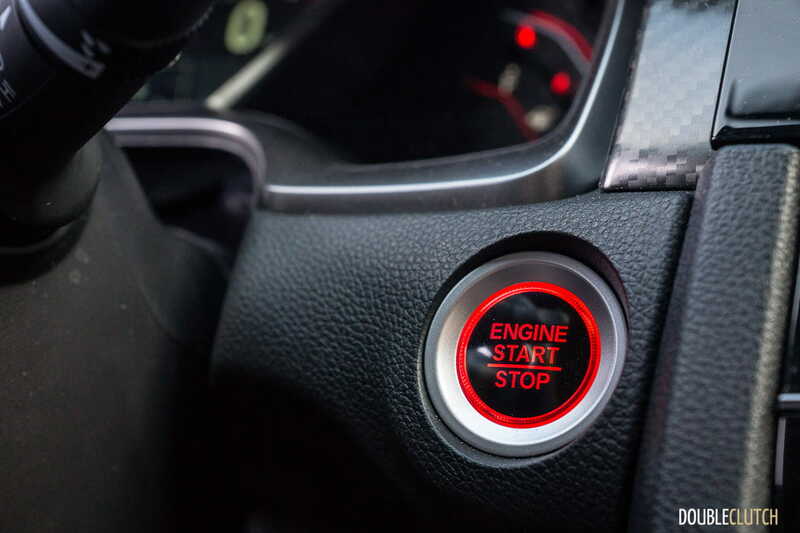 Turbo boost is turned up (to 20.3psi), and this little 1.5L engine produces 205 horsepower at 5,700RPM, and 192 lb-ft. of torque from 2,100-5,000RPM (up from 174 lb-ft. on the previous car). While the horsepower figure remains essentially the same, the jump in torque is certainly welcome, and the fact that it is much more accessible makes it a fairly sweet mill. 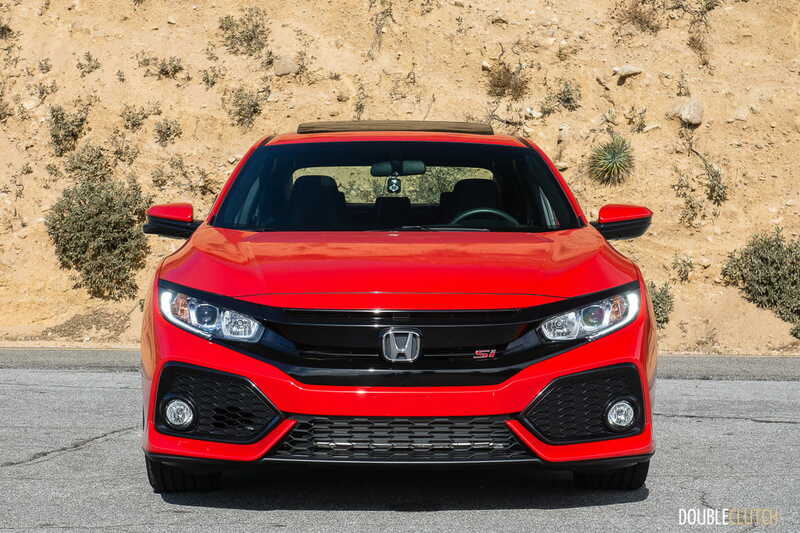 There’s some turbo lag – but like almost all Hondas, you really should be spinning that engine fairly quickly, rather than lugging it with lots of throttle. It’s still disappointing that the Civic Si of this generation doesn’t actually feature their trademark VTEC (Variable Valve Timing & Lift Electronic Control) system, but rather VTC, which only adjusts valve timing, and not valve lift, which the former system does. Power is sent to the front wheels through a slick six-speed manual transmission and a mechanical helical limited-slip differential. 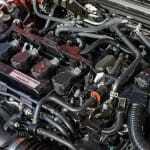 Engine redline is “only” 6500RPM. 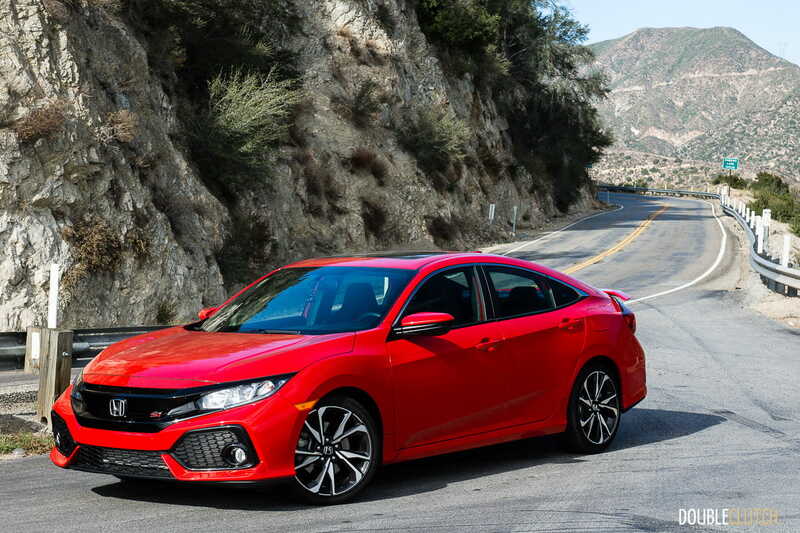 The Honda Civic Si is available in both coupe and sedan format, but not in hatchback form. 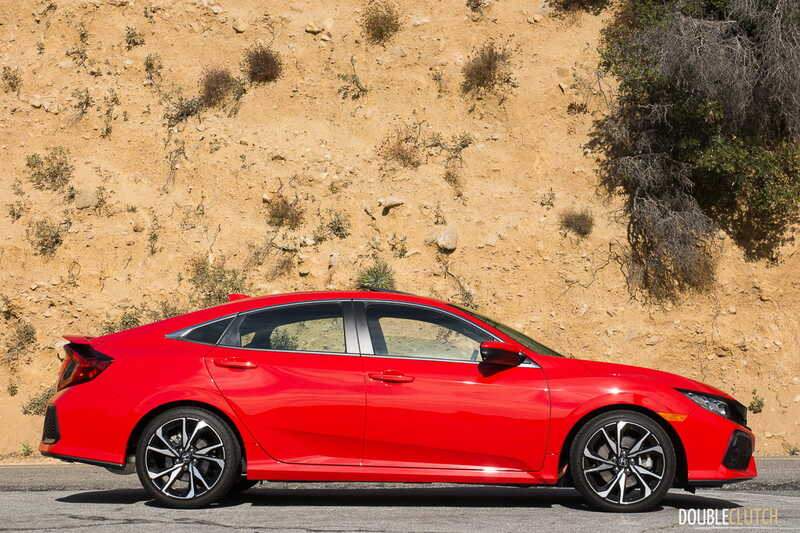 In keeping with its relatively low-key demeanor, the Si only seeks to change up a few items. It rides on larger 18″wheels with 235-section Goodyear Eagle summer tires fitted onto my particular tester. 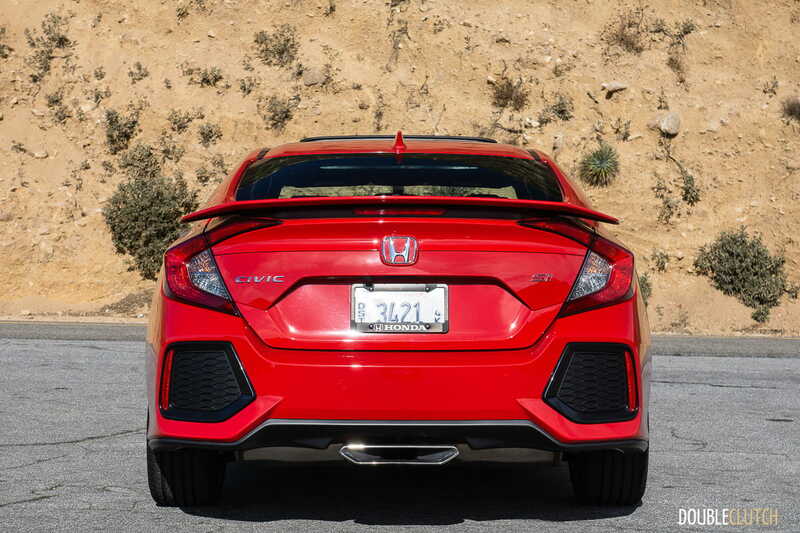 There’s the usual red “Si” logo in the front grille and rear trunklid, but one of the more obvious cues is the centre-exit single exhaust tip. 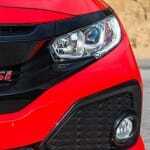 This differs from the Civic Sport Hatchback and the Type R, the latter of which employs three tailpipes. Inside, the Civic Si gets a unique set of sport bucket seats and more red contrast stitching. 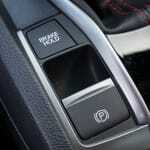 The infotainment system is carried over from the standard Civic, and is still missing a volume knob. 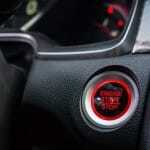 I ended up using the steering wheel volume control for the entire week. 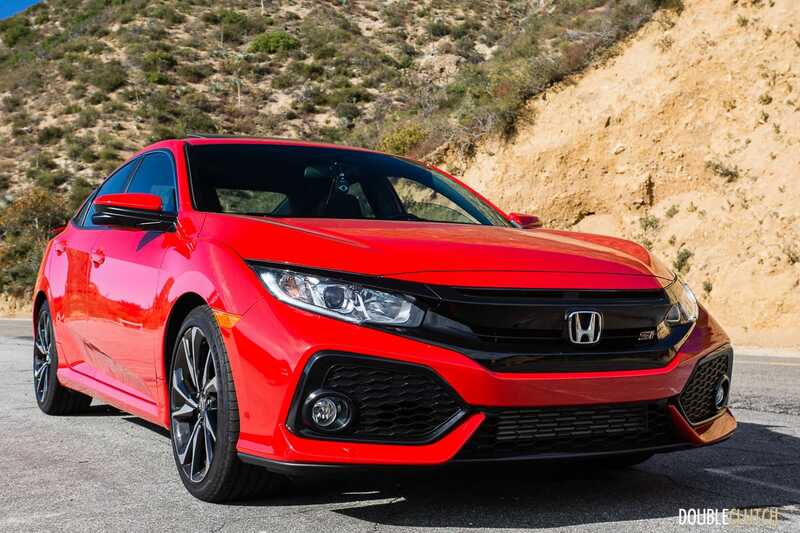 The Honda Civic is now a fairly large car, relative to previous Civics, and that pays off in interior space. You’re able to stretch out a bit while you sit in the notorious Los Angeles traffic. 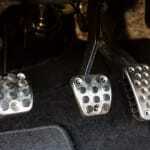 Speaking of traffic: the light clutch action and excellent shifter linkage makes crawling along very easy. 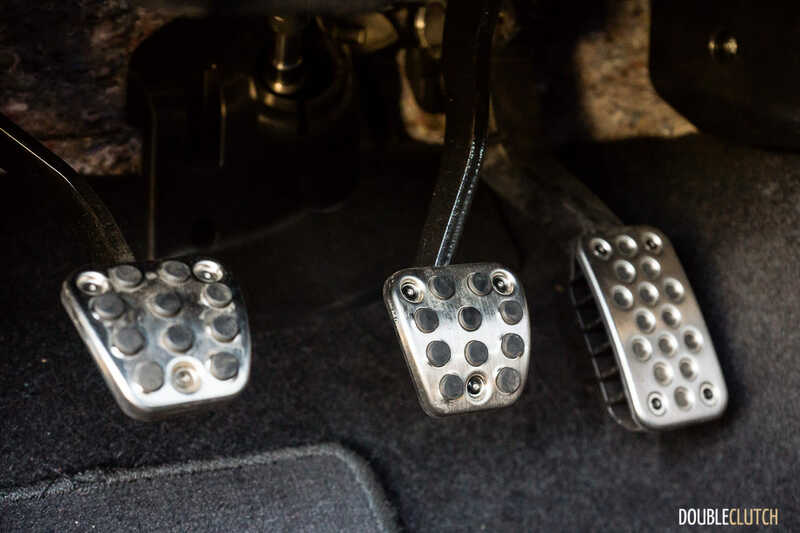 Some of my colleagues think the clutch pedal is too light, but the Civic Si exhibits a very friendly learning curve which is easy to program into your muscle memory. When the speed picks back up, rowing through the gears is a real pleasure, though the engine does exhibit some rev-hang in between gears. 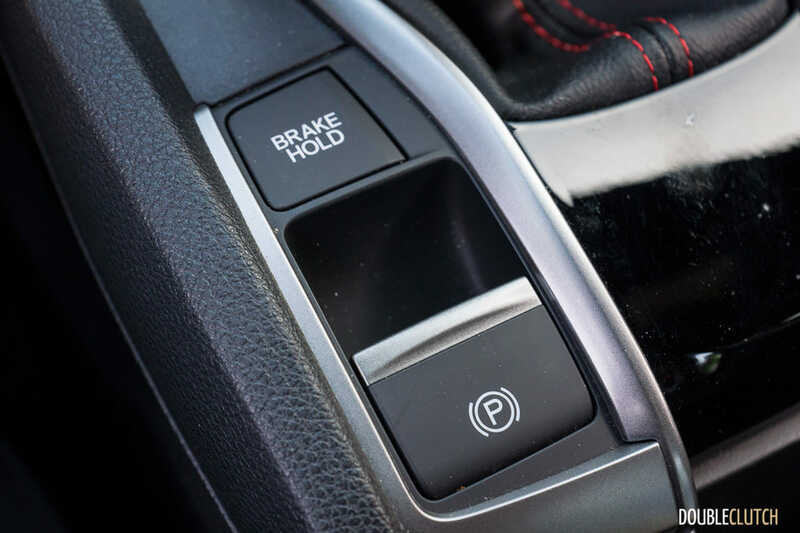 It’s not a deal breaker and only requires a slight adjustment to your overall gear shift timing, in order to reduce unnecessary clutch slippage. 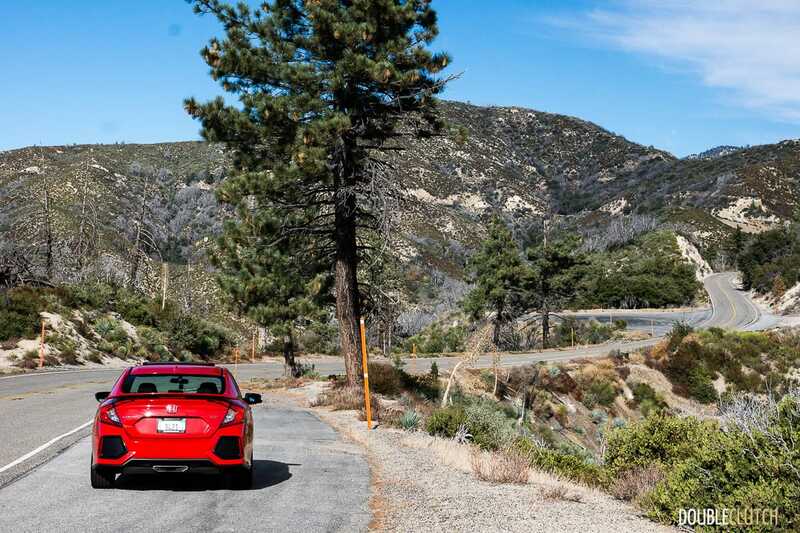 Our annual pilgrimage usually involves hitting up the mountain roads located just outside of Los Angeles. 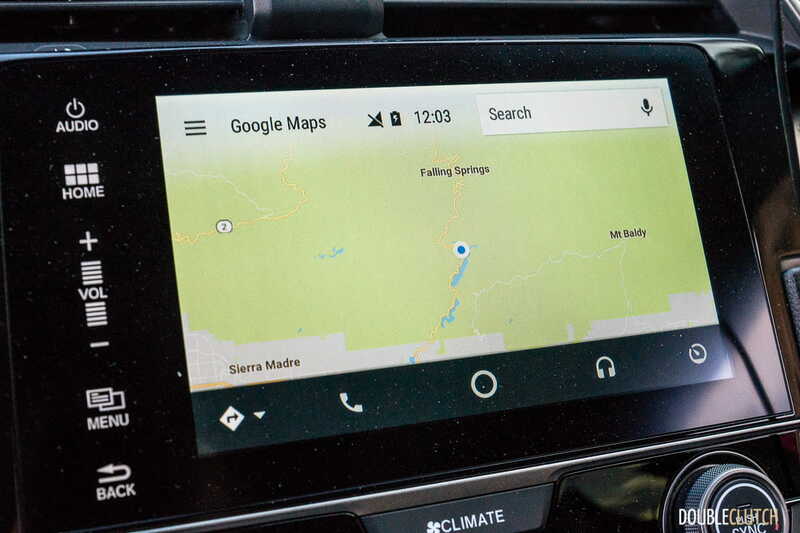 If you look up “Angeles Crest Highway” on Google Maps, then zoom out, you’ll see the meandering ribbon of road that cuts through the Angeles National Forest. Simply put: it is exquisite, and one of the best roads in North America. It is well maintained (aside from some rocks that land on the road), with good visibility during the daylight hours, and most sections have a posted 55mph speed limit. 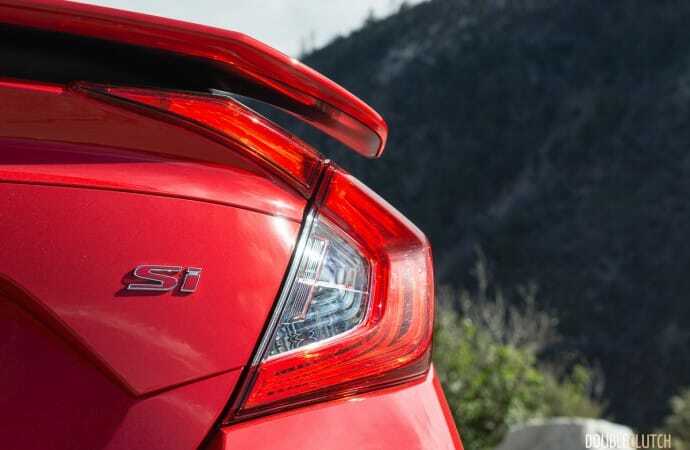 The Civic Si allows you to have a lot of fun at legal speeds, and the turbo boost helps keep the power on boil once you get up to almost 7000 feet of elevation. 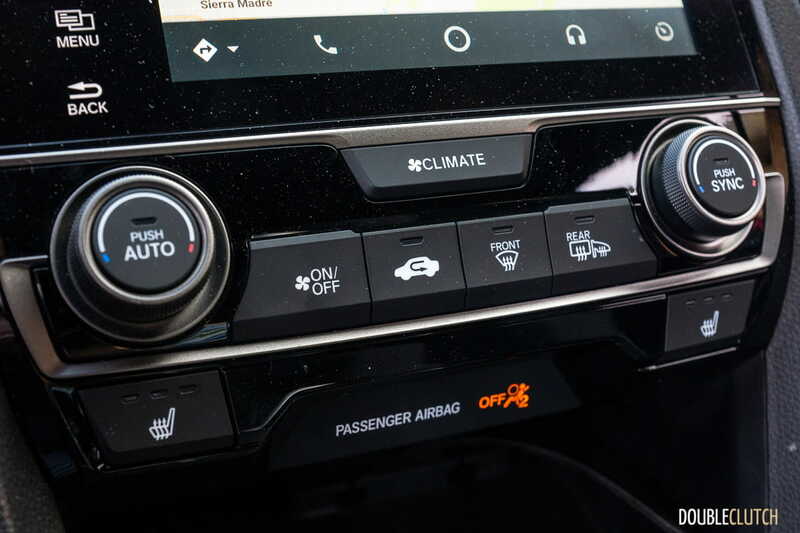 The steering, while electrically assisted, provides a decent amount of feedback to your hands, and I have to mention the clutch and gear shifter combination once more – the Civic Si really does provide one of the better driver’s interfaces at any price. 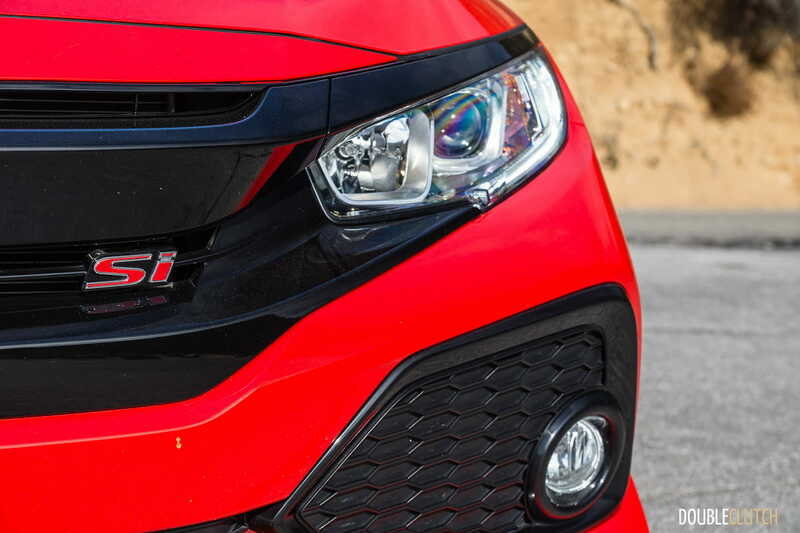 The “modest” 205 horsepower output means you have to work for your speed, and you can really feel the mechanical limited slip differential at work when exiting a corner with the throttle buried. 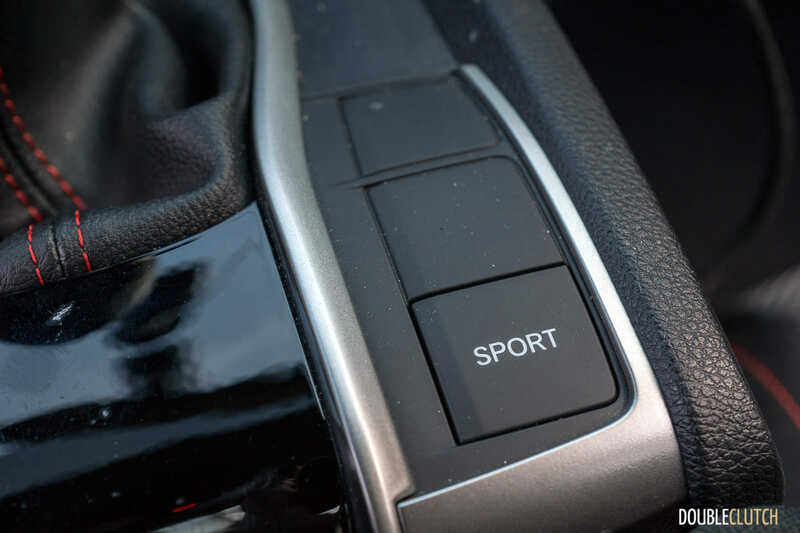 Enabling the Sport mode firms up the steering weight, and increases the damping force in the suspension, but by just enough not to ruin the overall wheel and body control. After running through the entire length of Angeles Crest Highway in both directions (give yourself 3 hours, and make it back before sundown), the next road on my list is Glendora Mountain Road. We’ve covered this “road to nowhere” before, and it is vastly different than the Angeles Crest Highway. Average speeds are much lower, the turns are much sharper, there’s way more camber in the road, and the elevation change is much more dramatic. 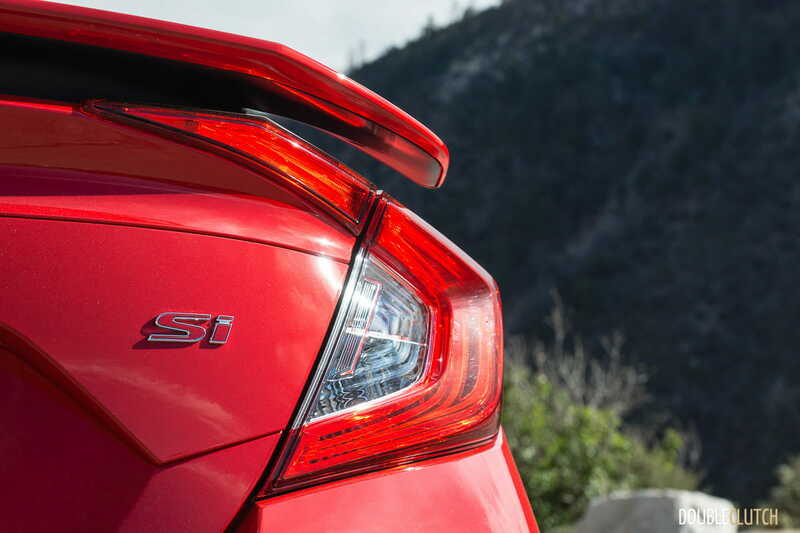 The low-end torque output of the Civic Si helps you get back up to speed quickly once you negotiate three decreasing-radius turns in a row. 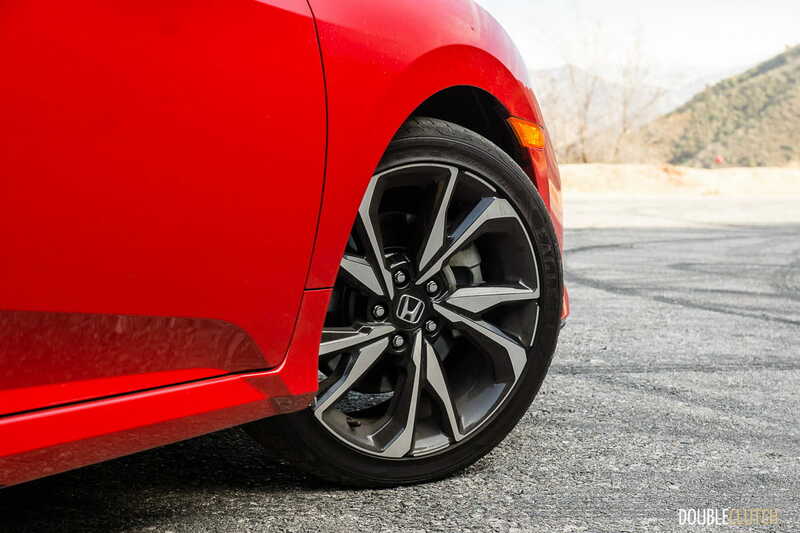 It’s much more of a workout for both the driver and the car, but the Civic Si didn’t skip a beat. It’s this sort of workout that I come here for, and it is glorious. 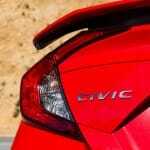 American Honda rates the Civic Si at 28mpg (or 8.4L/100km) in the city, 38mpg on the highway (6.2L/100km), and 32mpg (7.4L/100km) in a combined cycle. During my week of very mixed driving, I ended up with an indicated average of 30.3mpg, or 7.8L/100km. This is impressive considering the stop-and-go traffic, canyon carving (with copious amounts of turbo boost), as well as open highway driving as I traveled between the various little districts and neighbourhoods that make up Los Angeles. 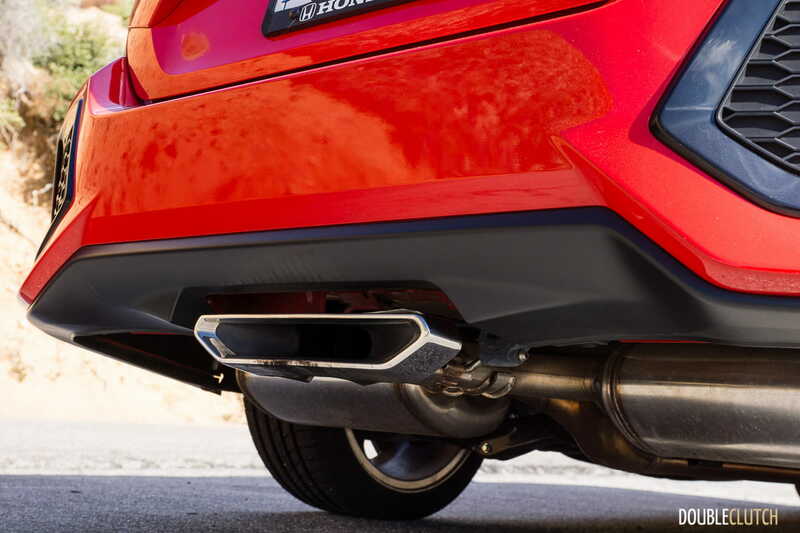 The fuel tank will hold 47L of premium 91 octane fuel. 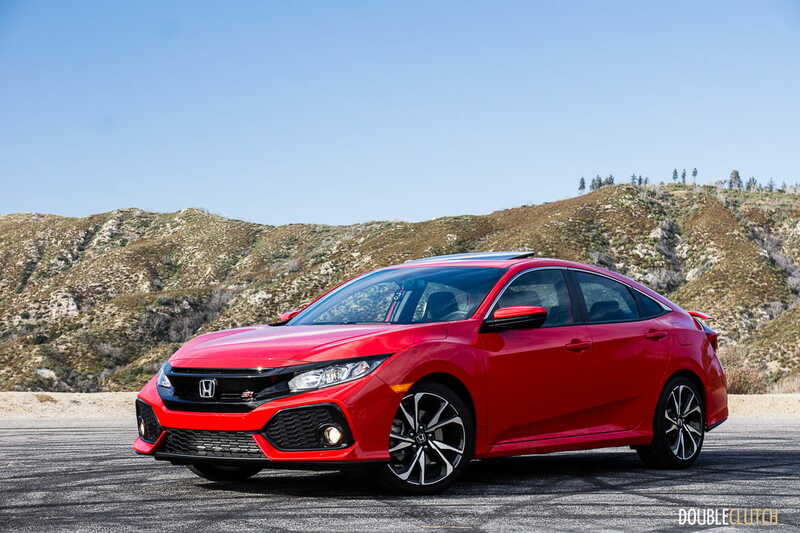 There are a few differences in how the Honda Civic Si is equipped, when you compare the American and Canadian specifications. 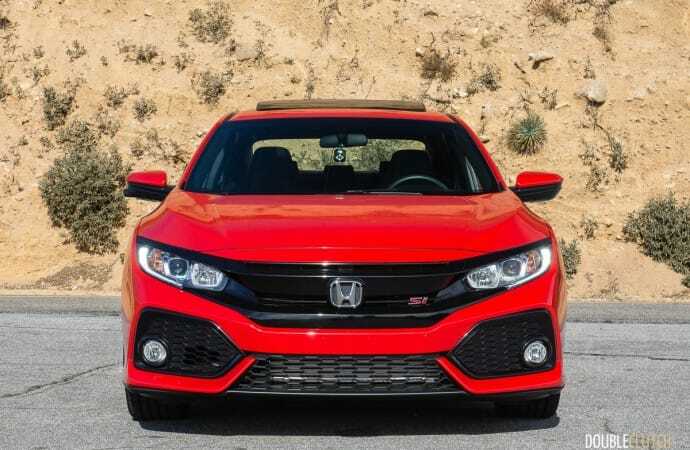 One obvious difference is that the Canadian Civic Si comes standard with full-LED headlights, as opposed to the halogen projector setup seen on the American Civic Si. 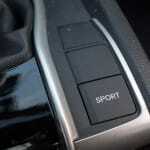 Under the skin, the other practical difference is the lack of built-in satellite navigation in the American Civic Si. 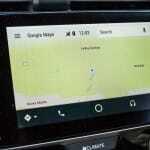 This isn’t a big deal – connecting an Android or Apple iOS smartphone will give you the data-backed navigation you need. Pricing between the two countries is obviously different, but for our Canadian readers, the Civic Si is priced at $28,590 and just about the only thing you need to choose from is the colour of the paint. 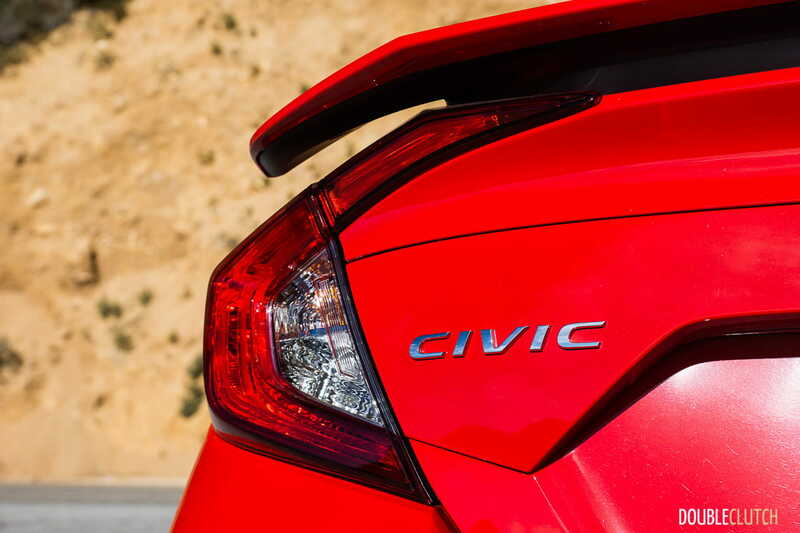 The Civic Si continues to be one of our favourite cars under the $30,000 mark. 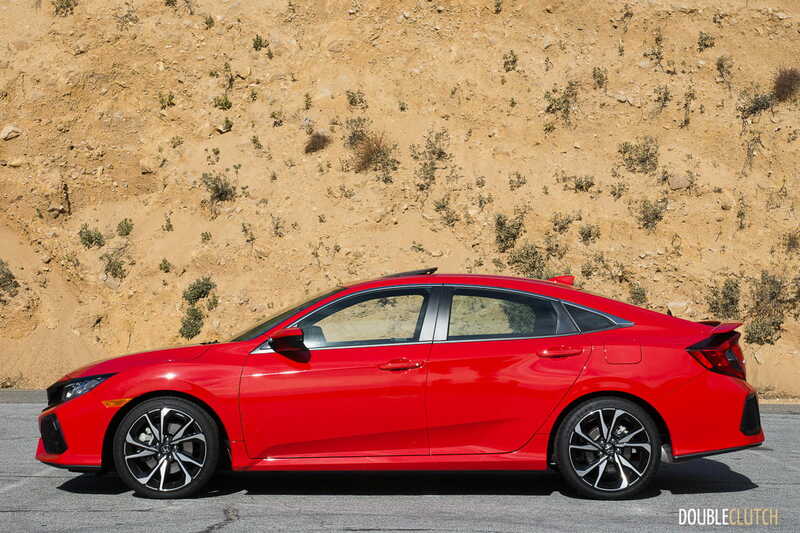 Hyundai’s new Elantra Sport is a handsome package that goes head-to-head with the Civic Si, so it really depends on what you expect from your sporty little compact sedan. For me, the lack of a limited-slip differential, as well as the unnecessarily firm ride, and somewhat numb inputs that detract from an otherwise good effort by Hyundai. The 2018 Honda Civic Si Sedan proves to be a great car for enthusiasts, if you choose to keep an open mind. 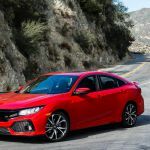 Long-time Honda fans will complain endlessly, but the fact of the matter is that it gets the job done in an effective way, improving safety and efficiency, while still managing to add the creature comforts that everybody demands. What I said earlier about most dreamers wanting to pilot an expensive hypercar throughout Los Angeles for a week? 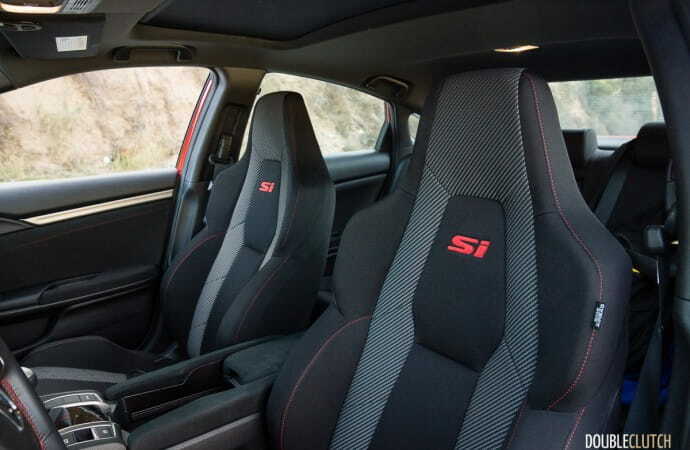 Give me something like this Si. 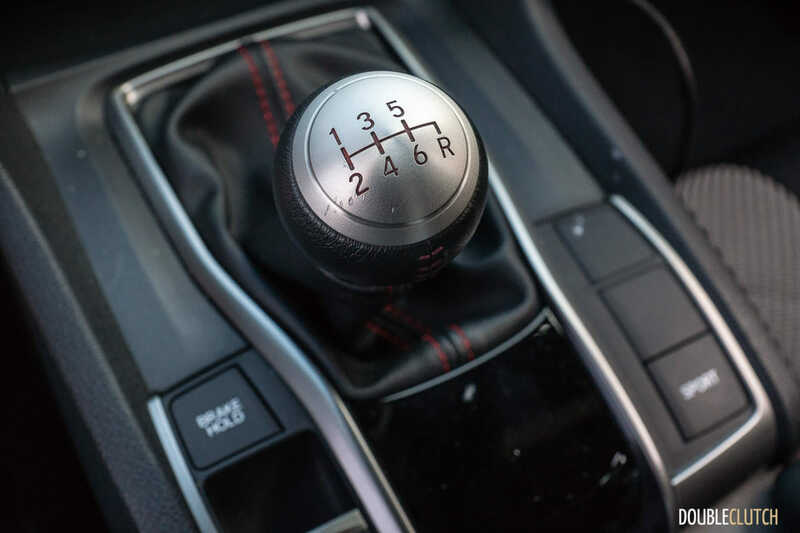 It comes with a fantastic and honest six-speed manual transmission, enough power to work for your thrills, and enough practicality that it becomes part of your everyday arsenal.